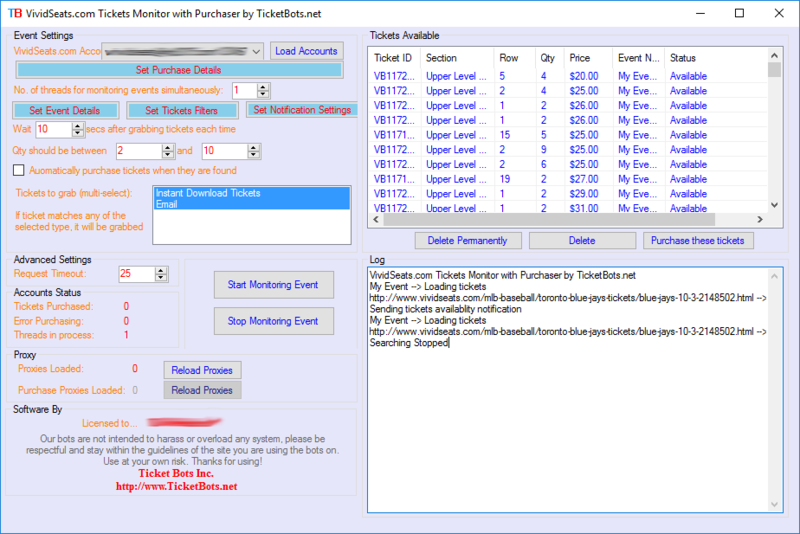 The software allows you to monitor specific tickets for multiple events simultaneously without any effort . It grab the tickets and notify you, if the tickets match your criteria. It also lets you auto purchase the tickets when they are found. The bot can be customized to meet your exact needs as well. In short, the bot lets you choose cream tickets from multiple events to buy with just a single click or even automatically as well.